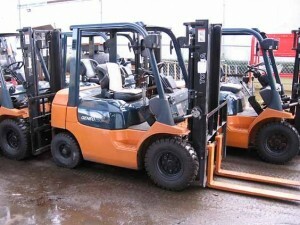 Whether you are lifting 2,000lbs or 70,000lbs, All Pro Forklift Rental. Equipment is ready to do the job for you. With our on-site delivery, you can ensure the rental equipment you need will be delivered where and when you need it. It’s that easy. Maintenance is included on most rental units. A pre-owned forklift from All Pro Forklift Services is a great way to get the high quality equipment your business needs at a competitive price. We completely inspect each forklift and make the needed repairs to ensure you are getting the very best value for your forklift purchase. Whether it’s an electric pallet truck or a 50,000lb outdoor diesel, you can rest assured we have the equipment for your material handling needs. Call one of our equipment specialists today!